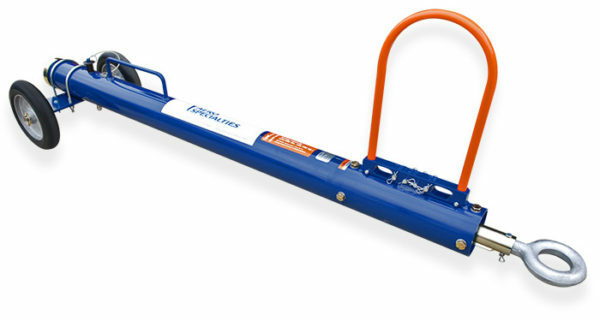 Home > Products > AERO TB125-5 5-Foot Multi-Head Towbar, 125,000 lbs. 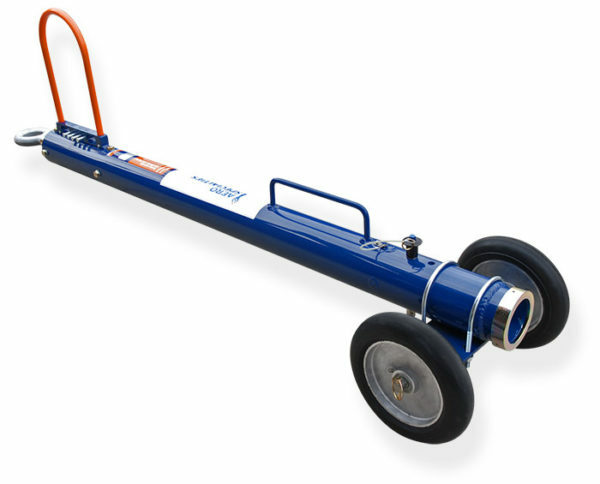 Our TB125-5 5-foot multi-head aircraft towbar is used for aircraft weighing up to 125,000 lbs. (56,699 kg. ), and accepts all AERO Specialties aircraft towbar heads in that weight range. The special 5-foot length allows maximum use of an entire hangar – even around tight corners. 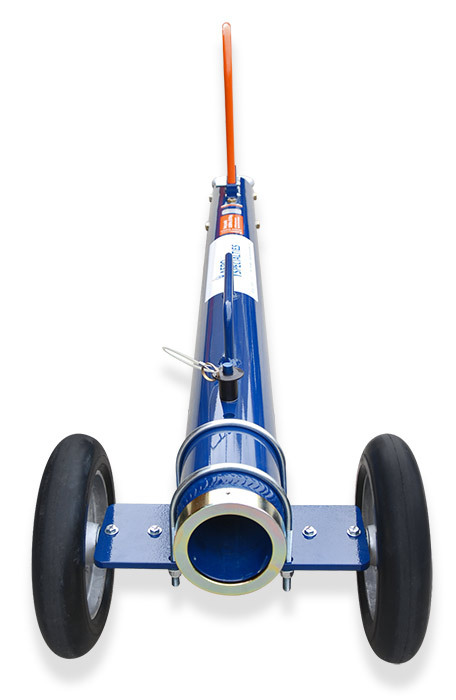 The TB125-5 also accepts other manufacturers’ towbar heads in this class. The TB125-5 features linear shear protection and limited eye rotation – a no-maintenance elastomer shock-absorbing lunette assembly, and a no-tool, field-replaceable drop-through shear pin system. 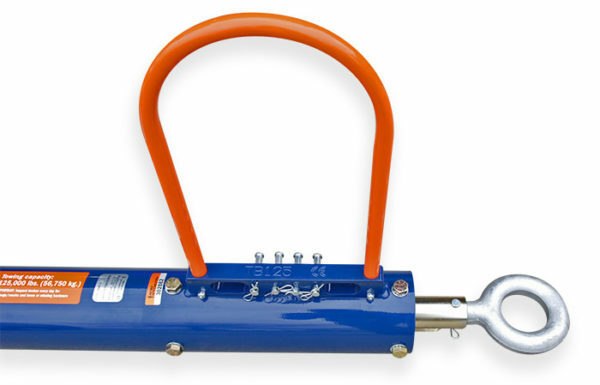 The handle has also been upgraded, incorporating an easy-access spare shear pin holder.